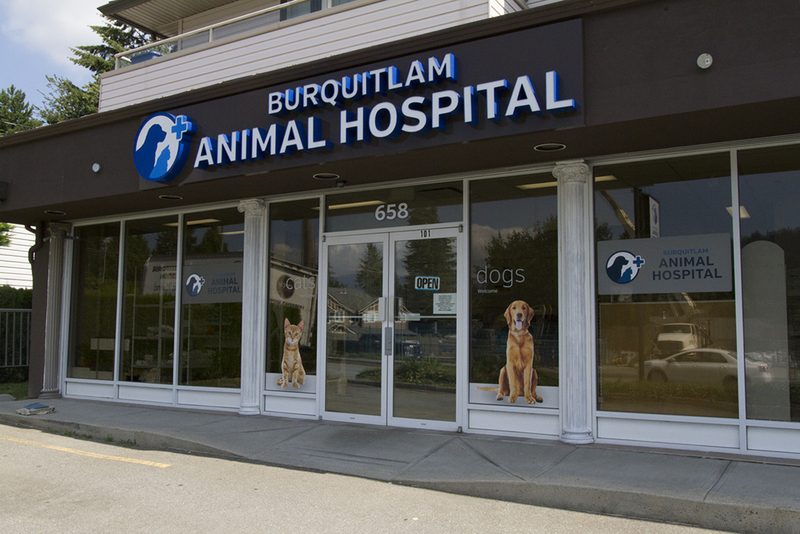 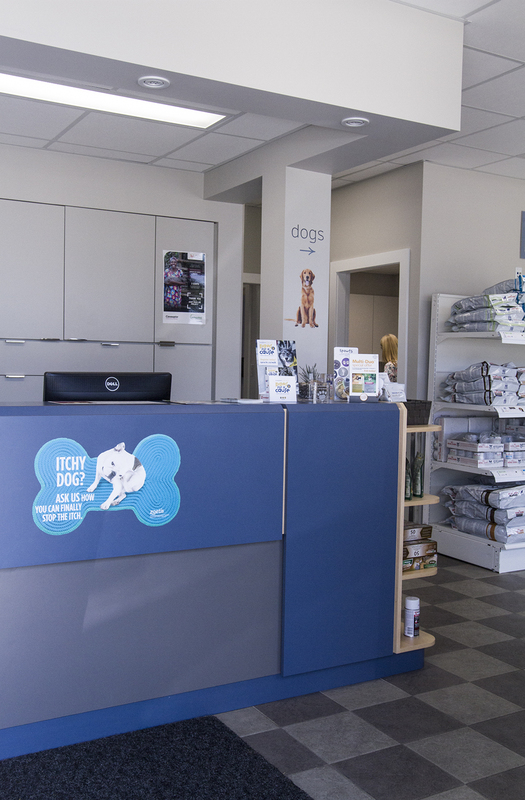 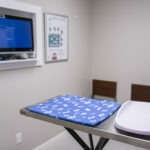 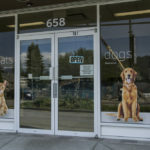 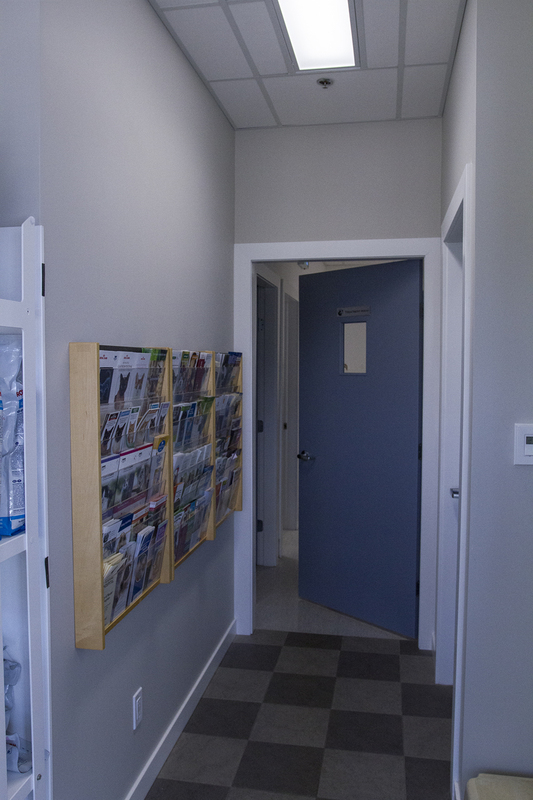 We have 3 exam rooms where you will meet our doctors and they will assess your pet’s health by performing a physical exam and asking you questions. 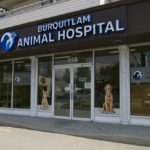 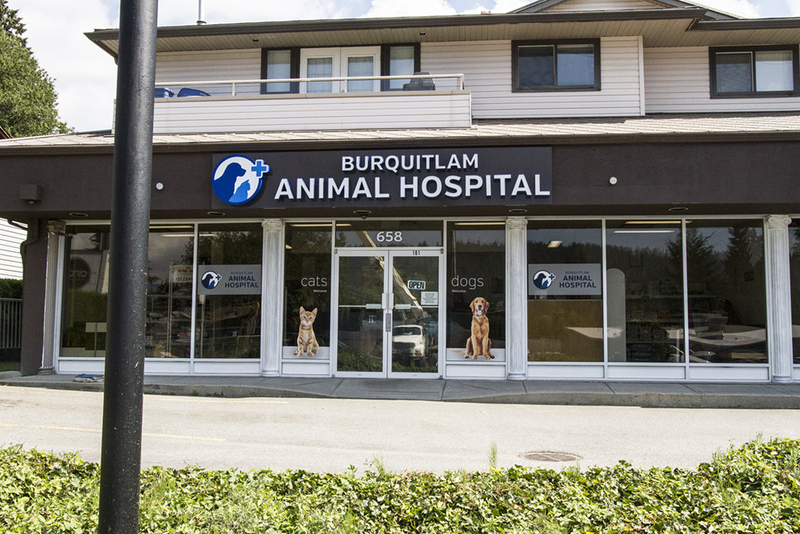 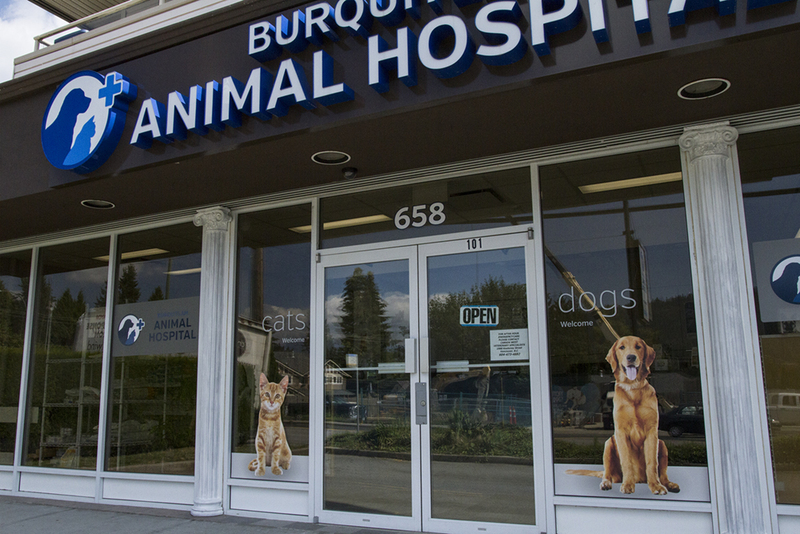 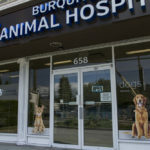 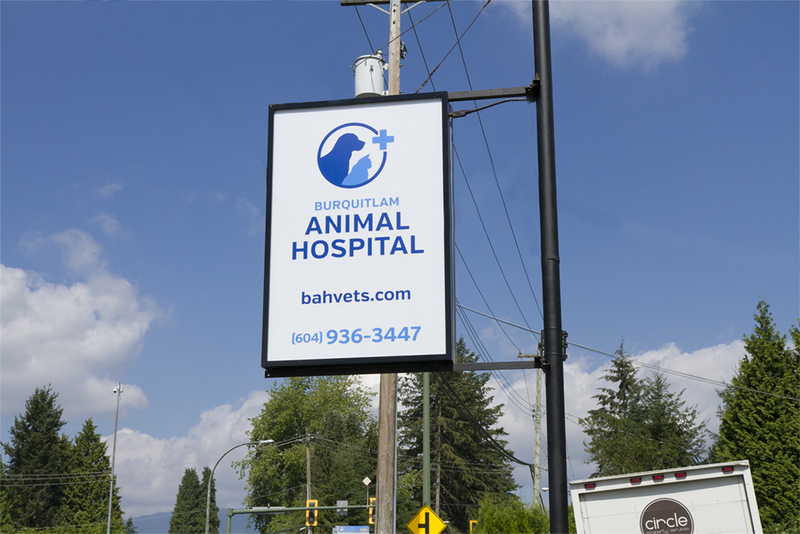 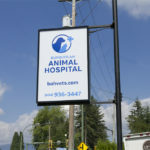 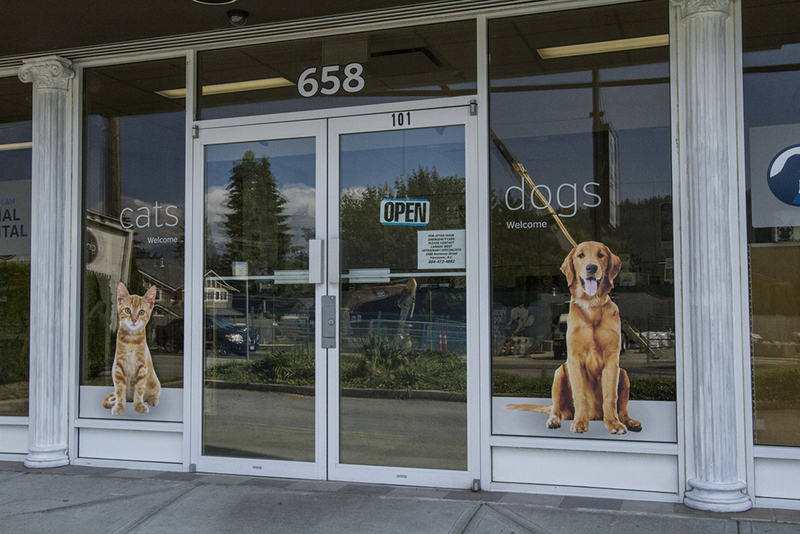 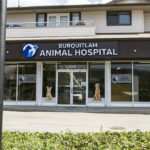 If at the time of your visit, the veterinarian indicates the need of bloodwork, urinalysis, etc. 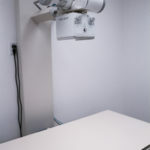 she/he will call you in the next couple of days to discuss over the phone the test results and treatment. 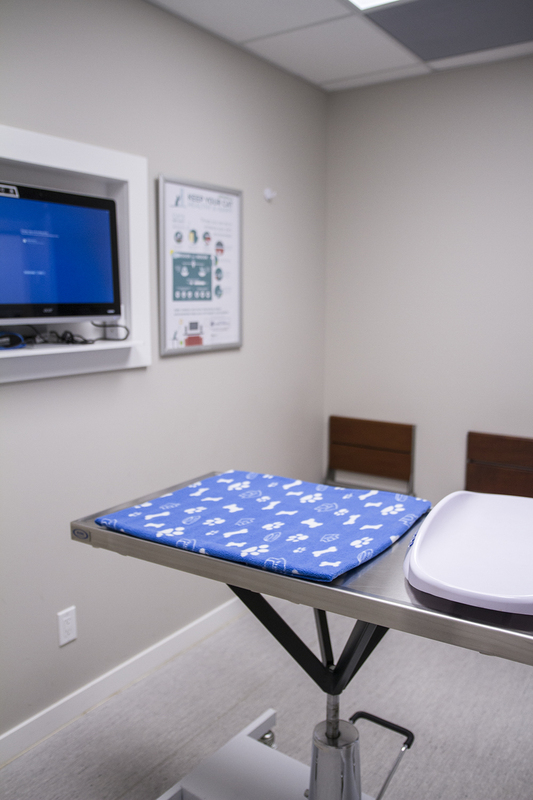 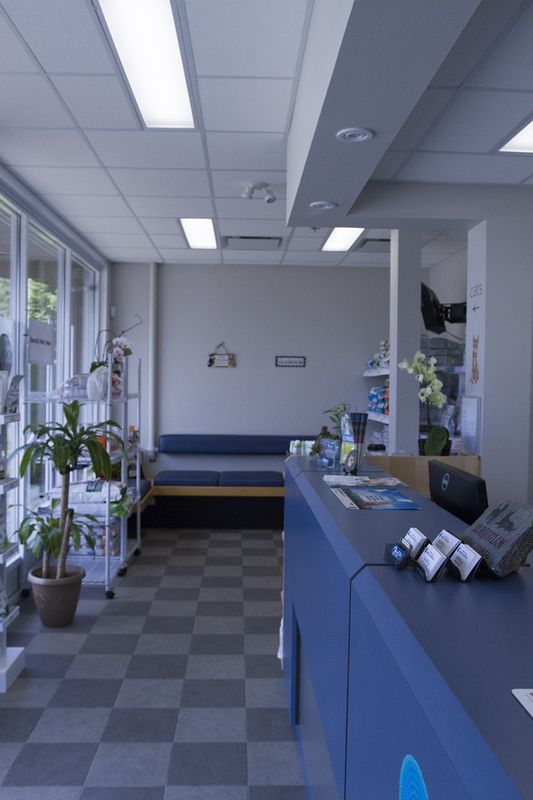 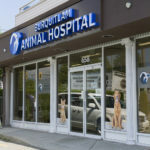 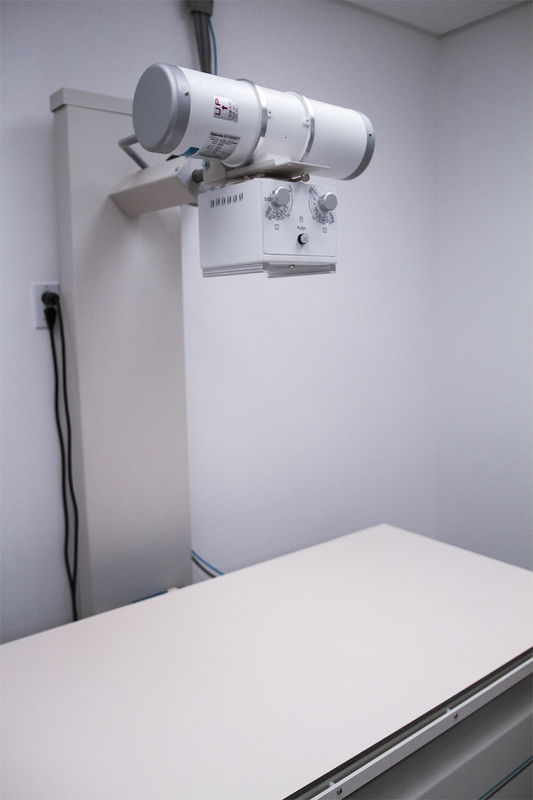 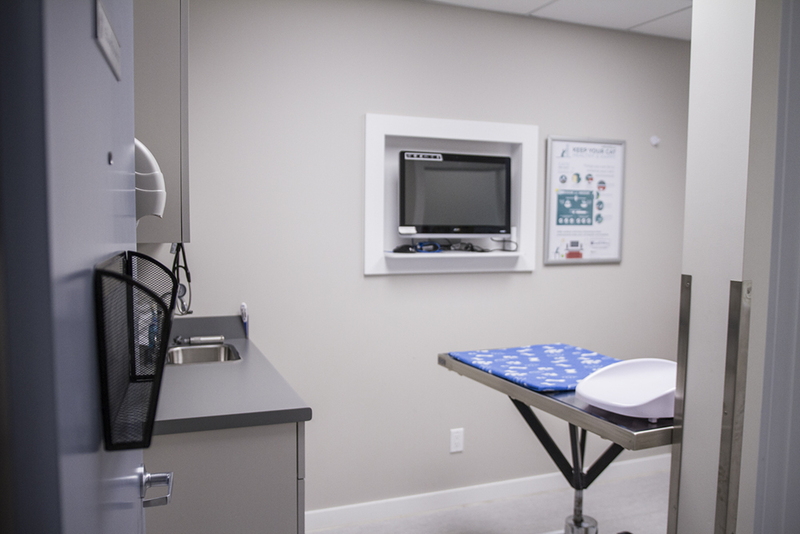 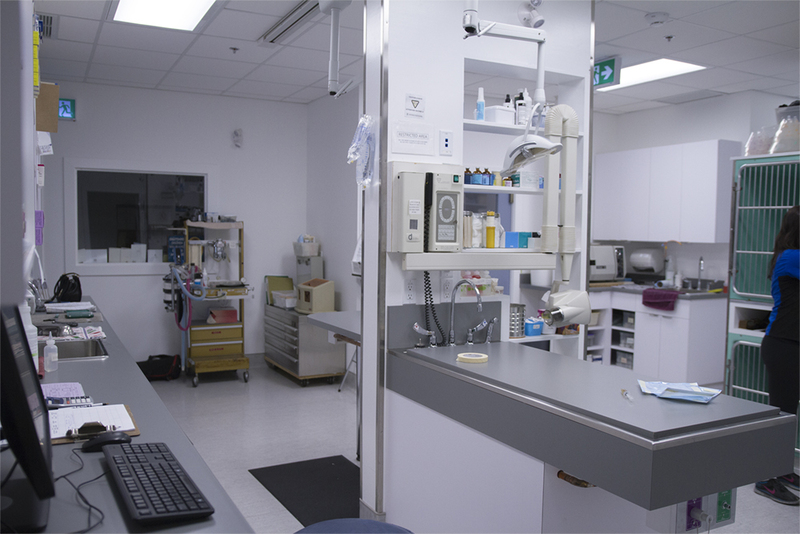 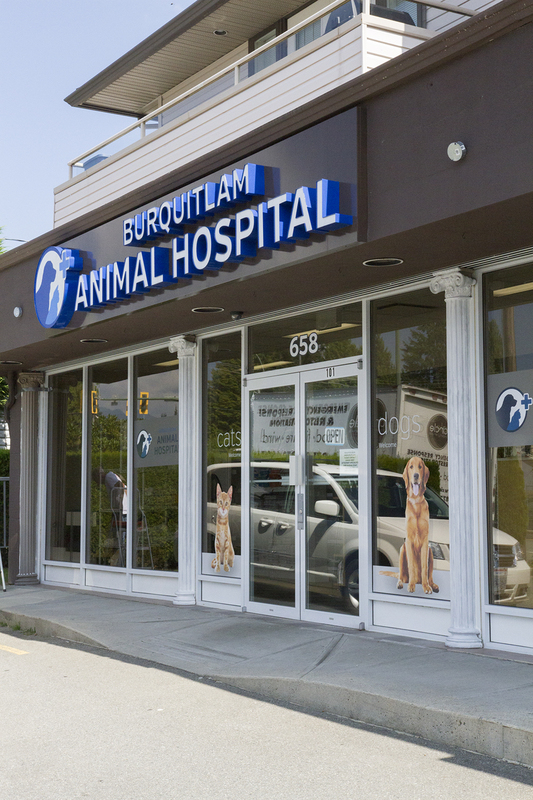 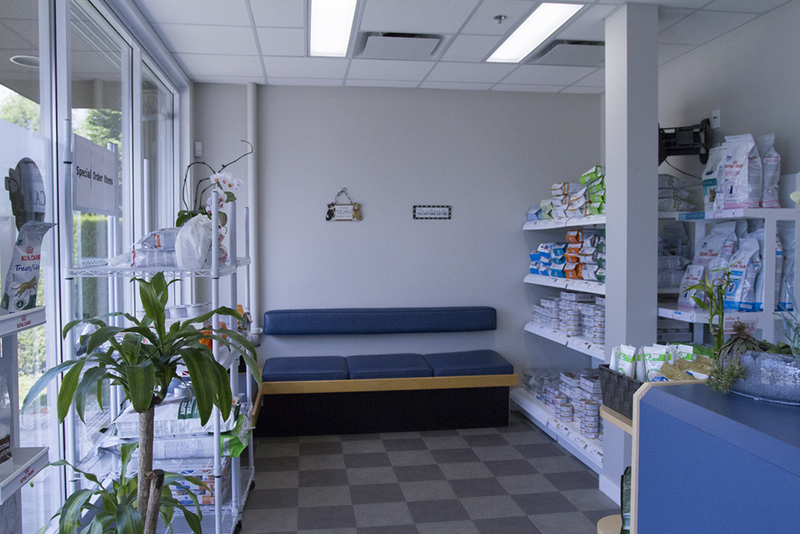 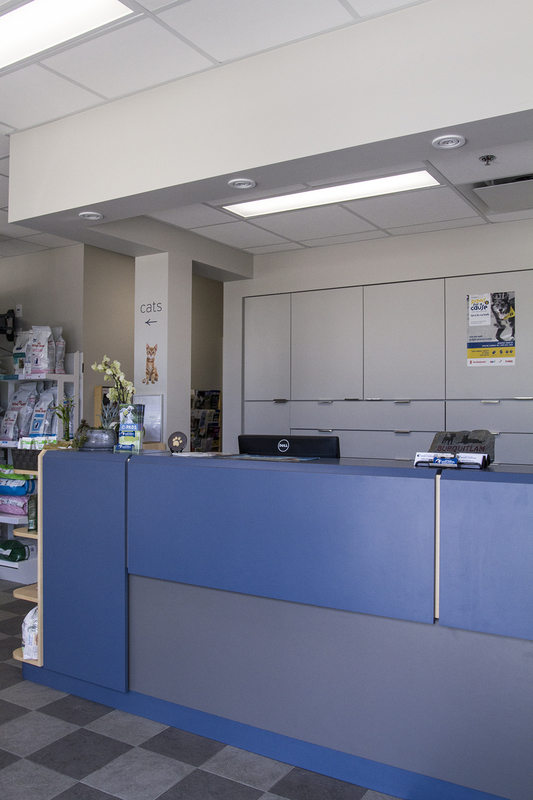 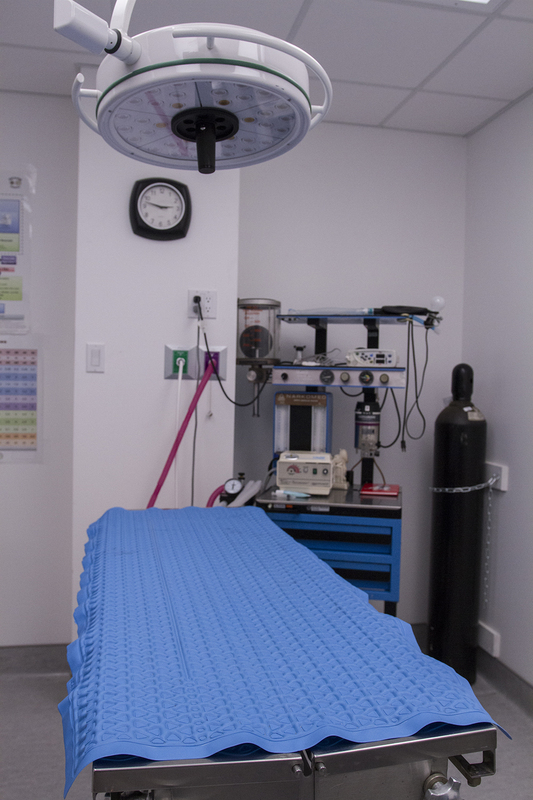 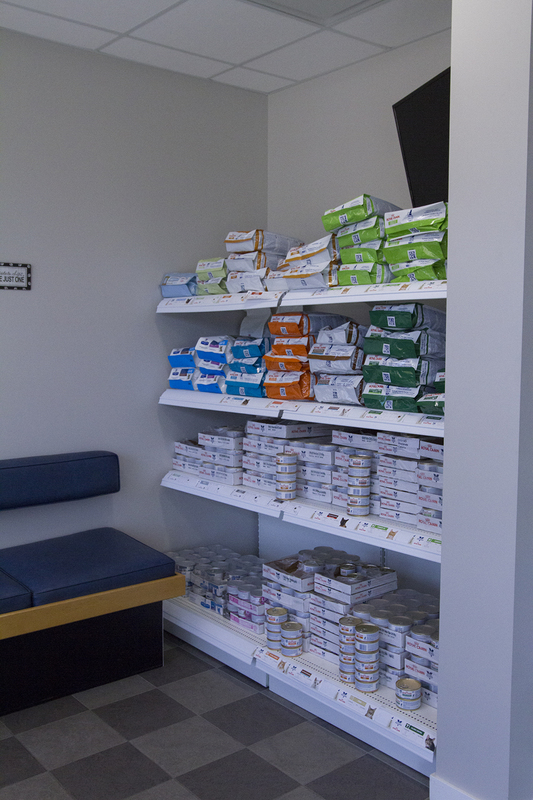 Adequate space in the exam rooms allows for patient, owners, a technical assistant and the veterinarian. 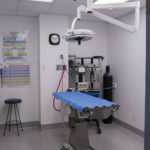 Most patients do not need to go beyond the examination room. 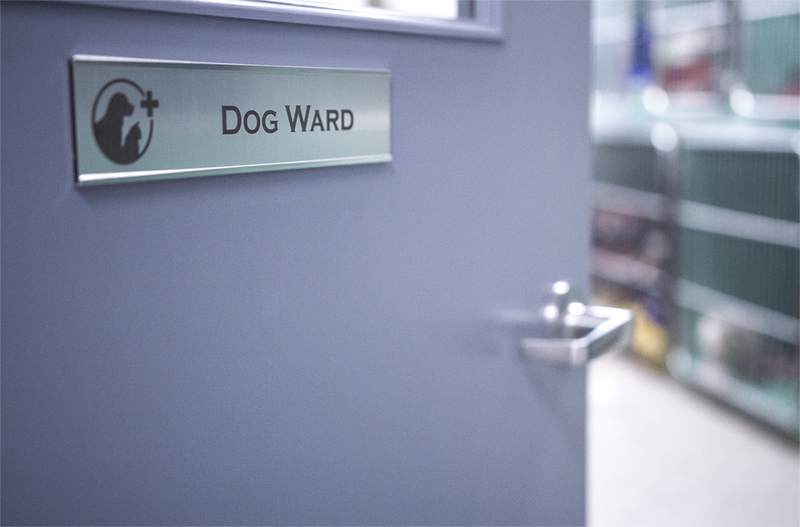 The rest of the hospital area is dedicated to serving those who are hospitalized. 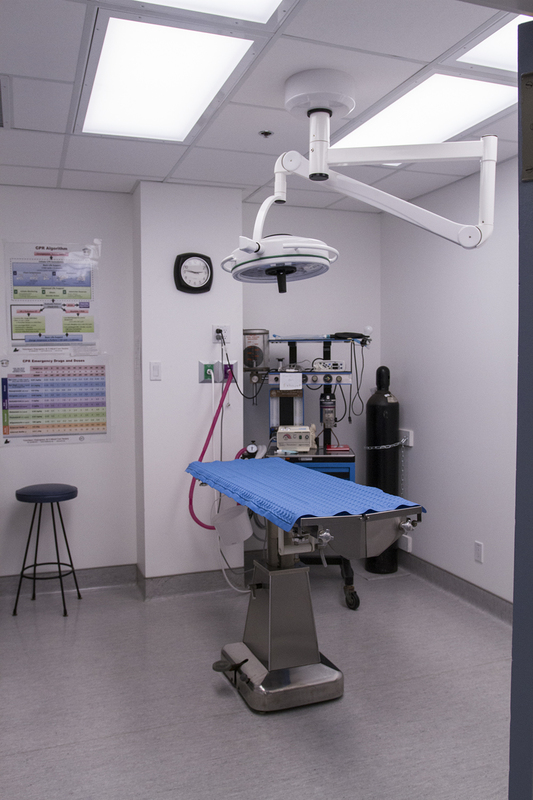 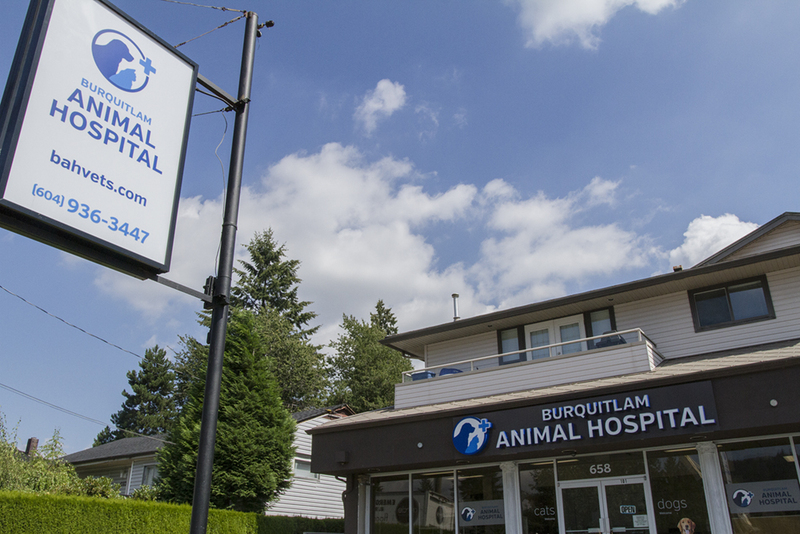 Here is where we perform minor procedures such as dentals (including associated oxygen) and anesthesia monitoring, ear flushes and treatments for our in hospital patients. 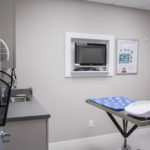 It is also a pre-surgical prep area including anesthesia induction. 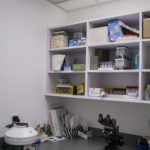 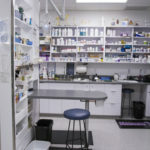 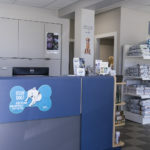 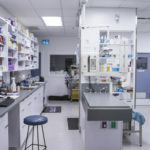 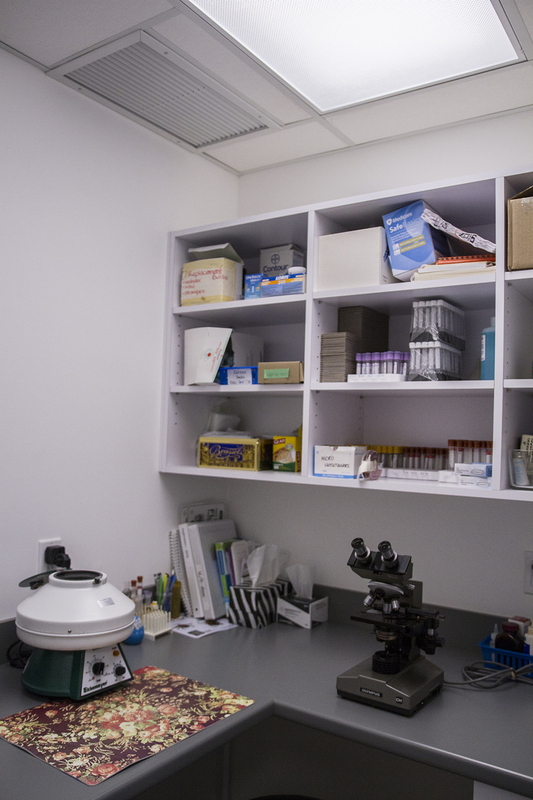 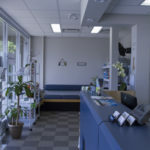 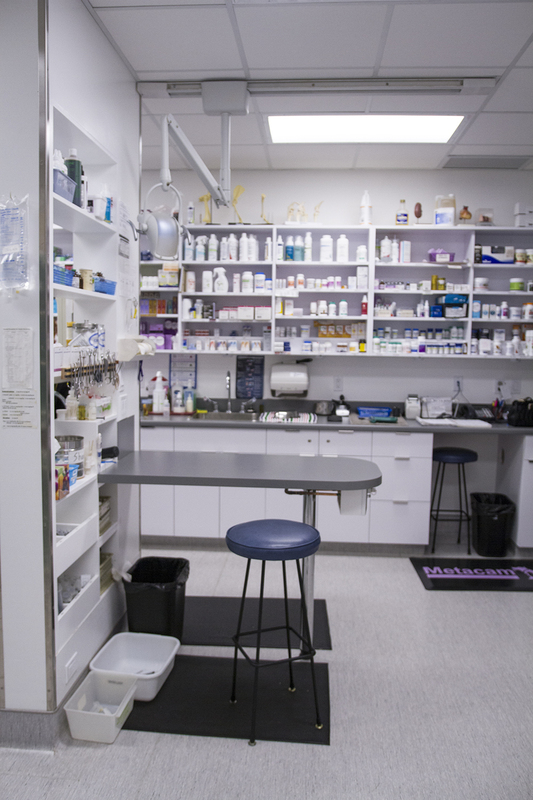 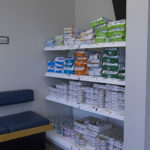 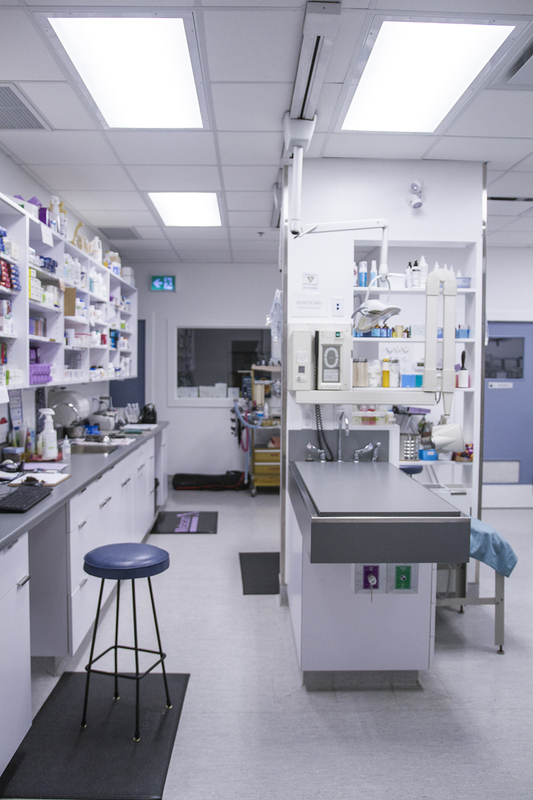 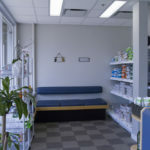 We also have a lab next to this room where we process some samples both for in-house testing or to send out to the lab (True North Veterinary Diagnostics, IDEXX). 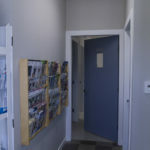 The x-ray/ultrasound room is adjacent to this room too. 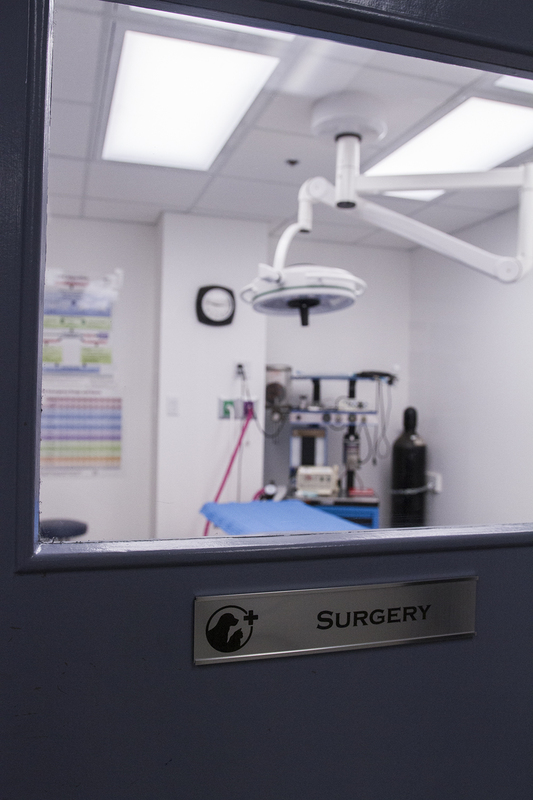 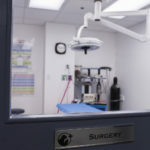 Our surgery room houses equipment to administer general anesthesia, monitor blood pressure, oxygen level and heart rate and deliver intravenous fluids. 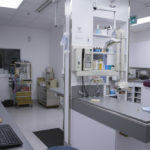 This monitoring makes anesthesia safer, however in most cases we recommend the we run some bloodwork to evaluate your pet’s kidneys, liver etc function before proceeding to surgery. 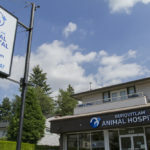 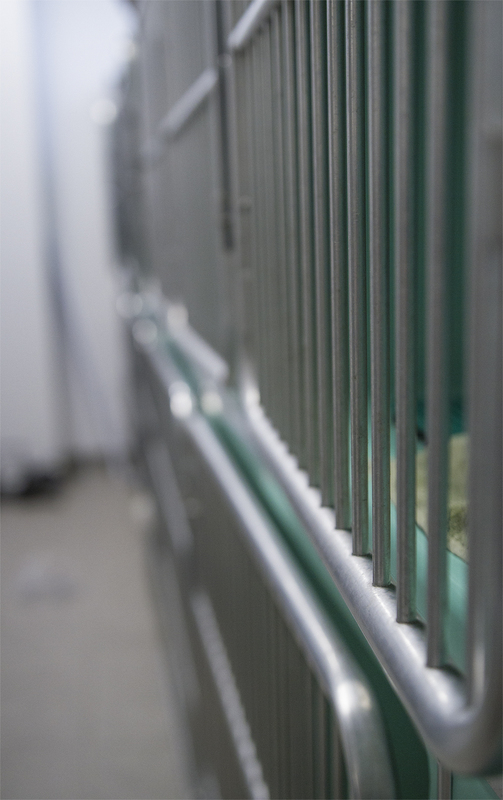 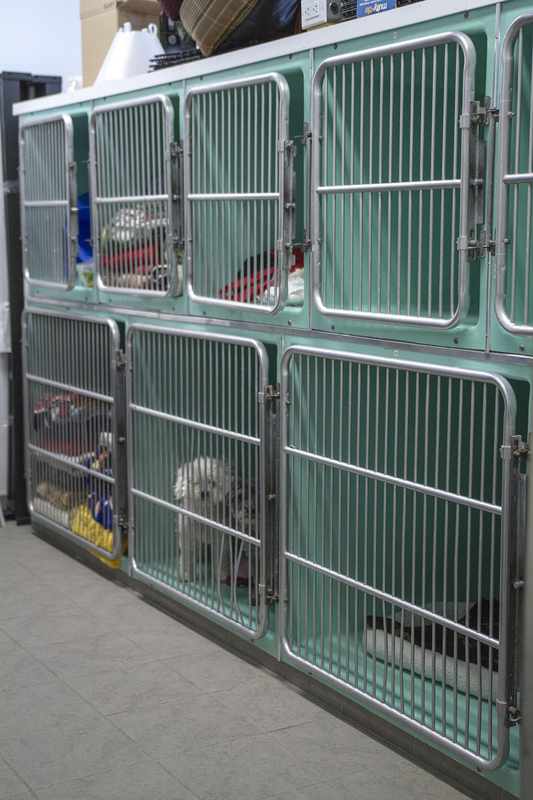 The hospital has a total capacity for holding 30 animals-each individually housed and separated into 3 wards. 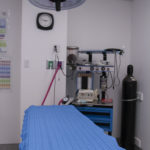 In the treatment room we have 4 kennels for post-surgical or critical cases. 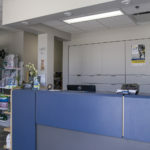 The run area has 3 large pens most suitable for our largest patients. 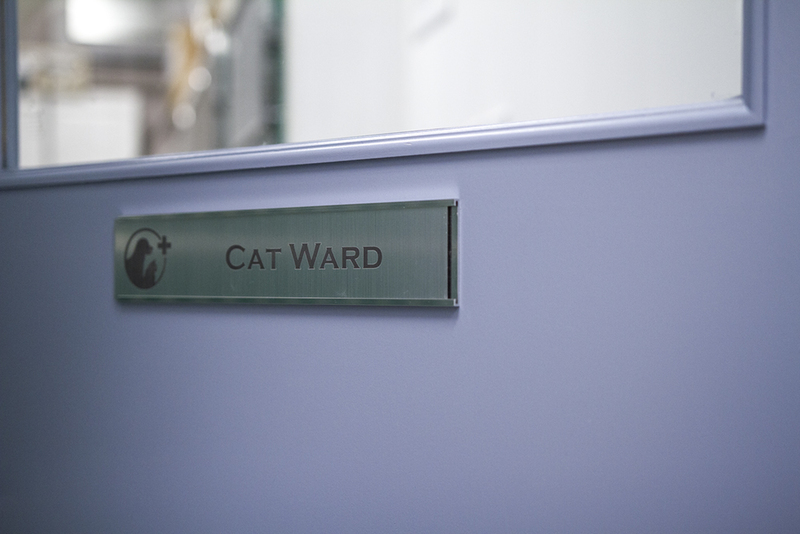 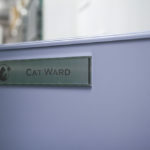 We also have two separate wards, one for canine and one for feline. 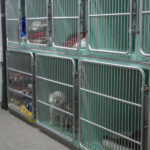 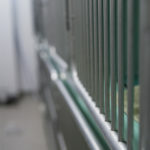 All kennels are made of a special material to facilitate disinfection and are supplied with padded blankets and/or towels for additional comfort and cleanliness. 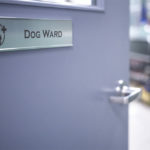 All dogs are individually walked outside routinely for exercise and relief of their bodily functions.